System gain greater than 60dB! CAE50-10GW-EU Dual Band Home Repeater is designed to improve Mobile reception for all types of service operating on 900/2100MHz. 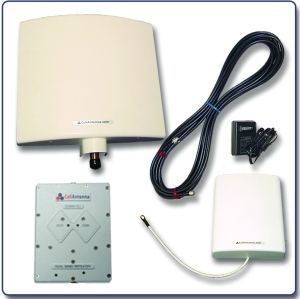 This system is designed to improve the Mobile signal in areas less than 250 sq. meters. The CAE50-10GW-EU Dual Band Home Repeater will allow you to use your mobile phone within a building with clarity and quality. 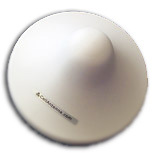 The CAE50-10GW-EU Dual Band Home Repeater takes the signal from an external antenna mounted outside a building, amplifies it and rebroadcasts it to the interior of the building with an indoor antenna. The same process occurs in the opposite direction taking the signal from the Mobile phone and sending it outside via the antenna and amplifier. This system has more than 60dB gain. NOTE:The system can handle 10 simultaneous calls. Also, our estimated signal strength outside your home at roof level must be 3 bars or greater on your mobile phone (-75dBm). Please contact us if you have any questions which system is for you or if you require any other information. 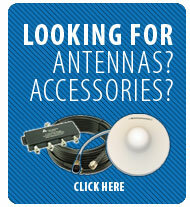 Omni Directional Outdoor Aerial Freq.